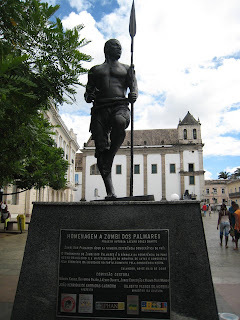 (¯`'•.¸Around the World : Cultures and Tales¸.•'´¯): Zumbi de Palmares, hero of black resistance against slavery. Zumbi de Palmares, hero of black resistance against slavery. "It is time to take our nation from the darkness of racial injustice." Zumbi was born free in Palmares in 1655, but was captured and given to a Portuguese missionary, Father António Melo when he was 6 years old. 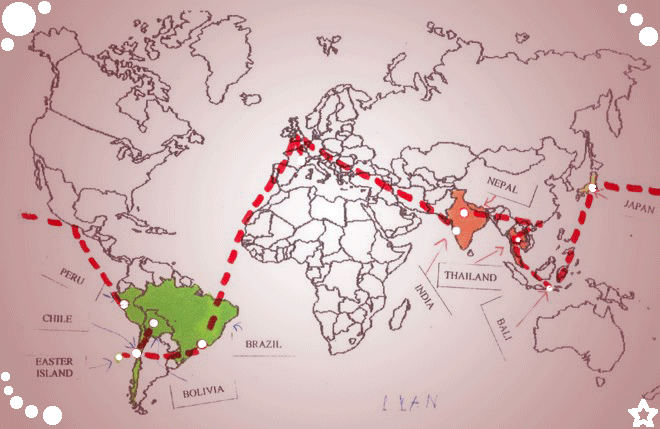 Despite attempts to "civilize" him, Zumbi escaped in 1670 and, at the age of 15, returned to his birthplace. Grandson of Aqualtune, he did not allow the submission of his people to the yoke of the Portuguese crown because he wanted the freedom for all, inside or outside the Quilombo. He continued the fight and became leader of the Quilombo. Quilombo dos Palmares (located in the current region of União dos Palmares, Alagoas, in Bahia) was a self-sustaining community, a settlement formed by black slaves who had escaped from farms and prisons. Quilombos represented slave resistance. Wounded in 1694, when the capital Palmares was destroyed, he was killed and beheaded on 20 November 1695. The Portuguese transported Zumbi's head to Recife, where it was displayed in the central praça as proof that, contrary to popular legend among African slaves, Zumbi was not immortal. This was also done as a warning of what would happen to others if they tried to be as brave as him. After 300 years, the date of death of the leader of the black resistance was established by the black movement, as the national day of black consciousness. "...Eu fui pego a traição, trazido na covardia...Que se fosse luta honestaaaa, de lá ninguém me trazia. Na pele eu trago a noite, na boca brilha o ar!! Trago a força e a magiaaa, presente dos orixás!!"